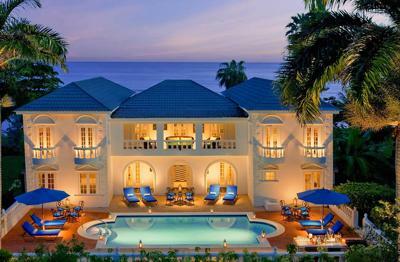 Half Moon is the jewel of the Caribbean; an island oasis perfect for your next summer escape. Indicative of its name, this world-renowned resort is perfectly situated on 2 miles of crescent-shaped private beach. With over 50 swimming pools, two beaches, acclaimed spa and restaurants, 18-hole golf course, 11 fully-lit tennis courts and an equestrian center; Half Moon offers relaxation at its finest. Stay must occur between July 1, 2019 - June 30, 2020. Stay is for single or double occupancy in one standard guest room. Reservations are subject to availability and we recommend booking at least 60 days in advance. All purchases are non-refundable. Extra nights may be available for additional fee. All taxes/resort fees responsibility of purchaser. Thank you for your interest in our Luxury Properties! One of our representatives will reach out to you shortly. For immediate assistance, please call us at (877) 544-8555. By adding this luxury hotel package to your Suitcase, you are reserving it for your event. How do I reserve nights? Before you can access our Luxury Properties, you must reserve a Signature Experience for your event.